Whether your bathroom is large or small, the Wooden Furniture Store have some smart storage to help you stay organised and maximise your available space. Here is our pick of our top 5 cabinets. 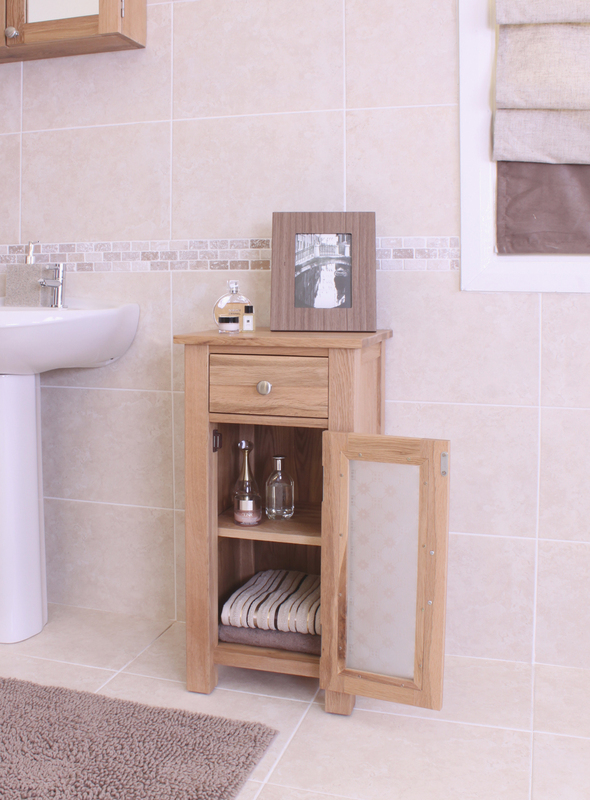 Ample storage is at the core of this Mobel Oak closed bathroom unit – offering a flexible solution for today’s modern bathrooms. 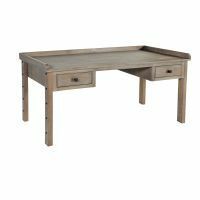 The unit is crafted from solid oak and finished with a soft hard wearing varnish to enhance its natural wood grain. Behind the frosted glass doors three adjustable shelves that could be used to store a variety of bathroom items whilst maintaining an organised look. 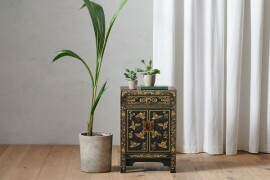 For extra storage the unit has two deep drawers which are finished with brushed steel handles. Stylishly and simple, this stunning unit would look great in any bathroom. Combining simple, clean white lines the Vermont bathroom unit tall adds elegant storage to any bathroom. 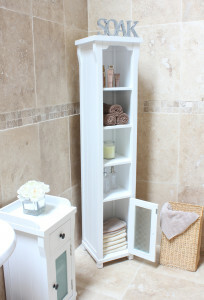 The unit has plenty of space with a combination of removable shelves and a cupboard – shelves are good for displaying towels and bottles of toiletries but a cupboard can hide away loo rolls and cleaning products. The Vermont range is crafted from solid ash, finished with a white painted effect and will give any room a light, contemporary feel. 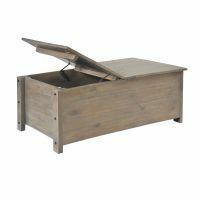 The unit features tongue and groove detailing, dovetail joints, hardwood back bases and drawer inners plus a choice of two drawer knob styles. 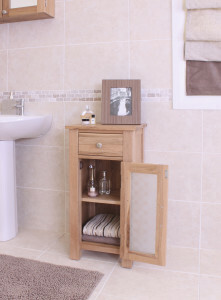 Pairing practicality with clean lines, this neat size Mobel Oak small bathroom unit will help create a serene and clutter free space. 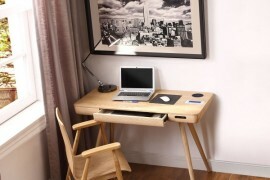 Even though its compact, the unit has plenty of storage. 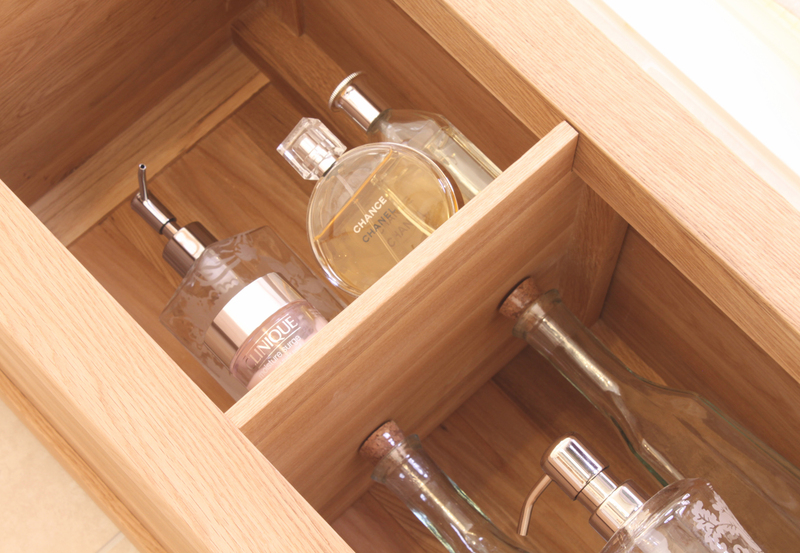 The single removable shelf is behind a patterned frosted glass and the unit has a drawer for some extra storage. 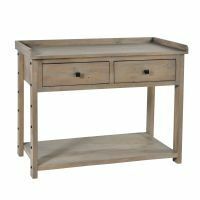 The unit is crafted from solid oak and features tongue and groove back and stylish brushed steel handles for extra design detail. 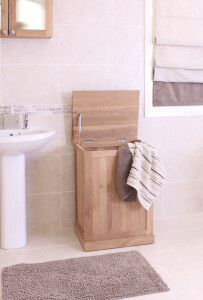 Every bathroom needs a laundry bin and our Mobel Oak version is a particularly modern and uncluttered option. Cleverly, the lid on the bin has a damper to prevent fingers being trapped and is crafted from high grade oak wood. 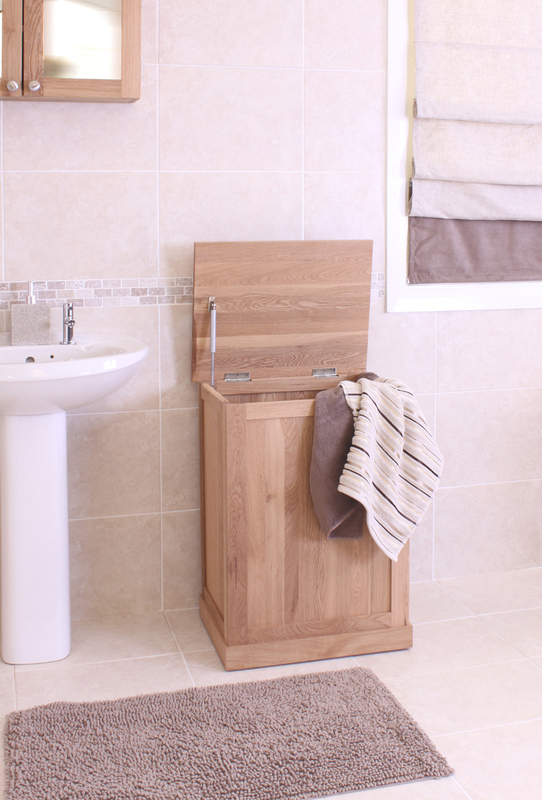 The bin coordinates with the bathroom units in the Mobel Oak range. 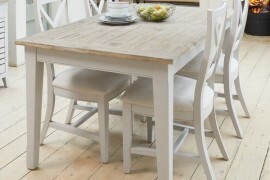 Prestine white with a fresh coastal feel, the Vermont collection is characterised by clean edges and simple lines. 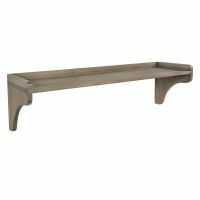 The open display shelves on this tall unit are perfect for storing bath oils and pretty trinkets. 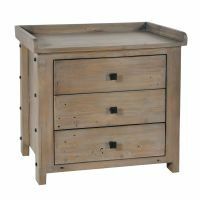 The cabinet also has a single storage drawer and a handy wicker laundry bin which can be removed completely from the cabinet. 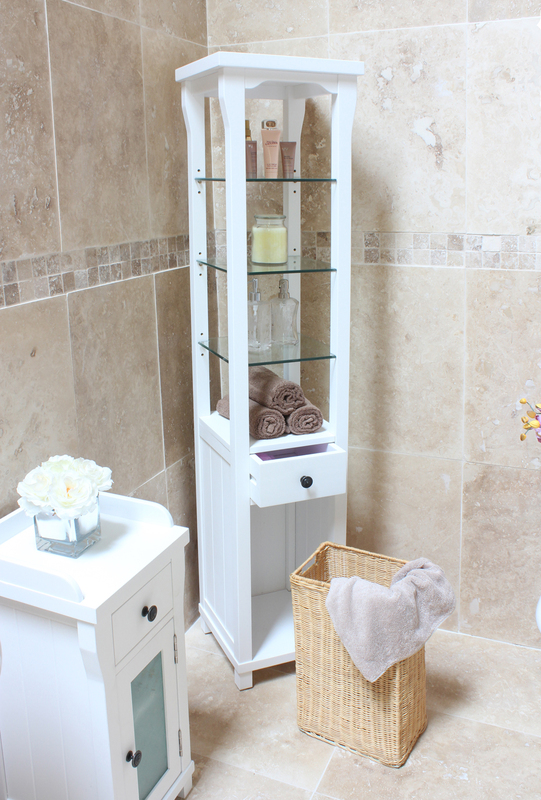 The Vermont tall bathroom cabinet is constructed from solid ash and given a 7 step white paint process for a smooth finish. 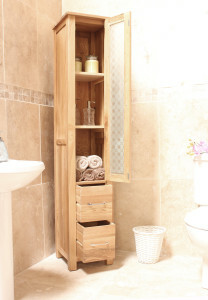 The Wooden Furniture Store has storage to suit every size of bathroom and remember all of our furniture is delivered fully assembled, in 10 working days. Click here to view our entire bathroom range. You call it home. We call it #HouseProud!